One of the parts of the upgrade process from vSphere 6.0 to vSphere 6.5 is to upgrade vSphere Distributed Switch. First and most important prerequisites is to perform a backup of vSphere Distributed Switch. I described the procedure in this blog post How to backup and restore vSphere Distributed Switch. 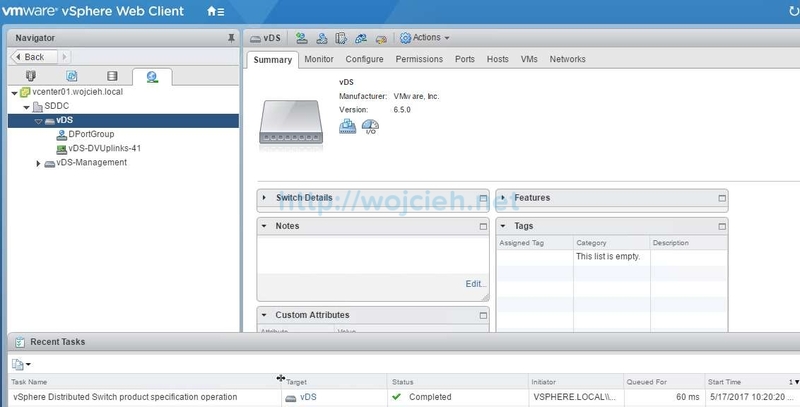 The second prerequisite is to create an ephemeral port for vCenter Server. I described it in the following blog Why vCenter Server needs an ephemeral PortGroup? 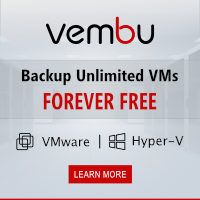 post why it is important to have ephemeral portgroup for vCenter Server. 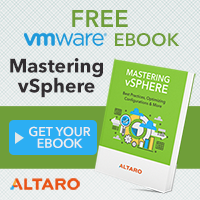 Log in to the vSphere environment. Click on Networking and select VMware Distributed Switch you want to upgrade. Please notice highlighted Upgrades available notification. To upgrade vDS click Actions / Upgrade and finally Upgrade Distributed Switch. On the first screen click next to confirm the upgrade. vCenter performs compatibility check if connected hosts are compatible. Click next to continue. On the last screen, we see a summary of steps we did to upgrade VMware Distributed Switch (vDS). When we click finish vDS is upgraded to version 6.5. 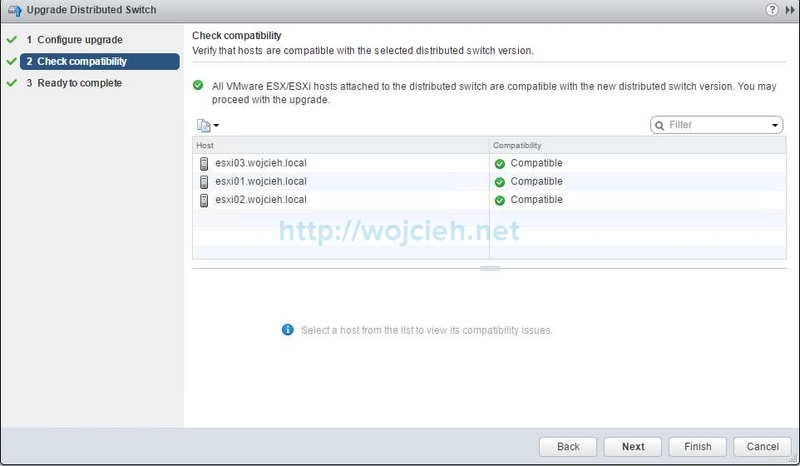 This concludes the process of upgrade VMware Distributed Switch from version 6.0 to version 6.5. All of this sounds simple enough. 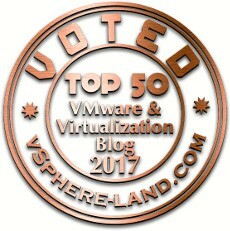 VMware warns that there may be a brief outage during the upgrade. In your experience, is there an actual outage and how long does it last? All of my hosts are at 6.5 and the most recent patches. As with any infrastructure updates, I would schedule a change to implement this. There is a question for us. How long does it take, is there an interruption, loss of short ping or consequent. Hello Laurent. From my experience the disruption is minimal. I would suggest to do it as a planned change. I just update 6.0 to .6.5 . I must say very well done Mr Wojciech Marusiak. Agreed should be planned change before update.